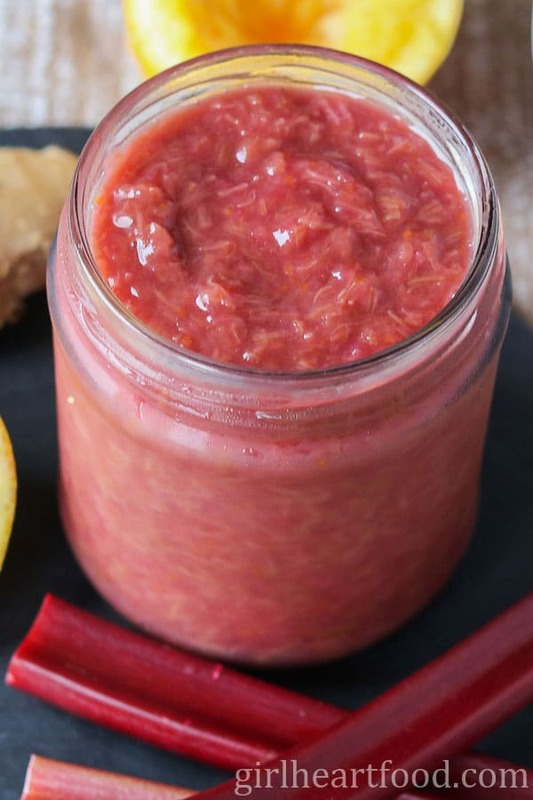 Homemade sauces, condiments & spreads are easier than you think! No need to buy store-bought! 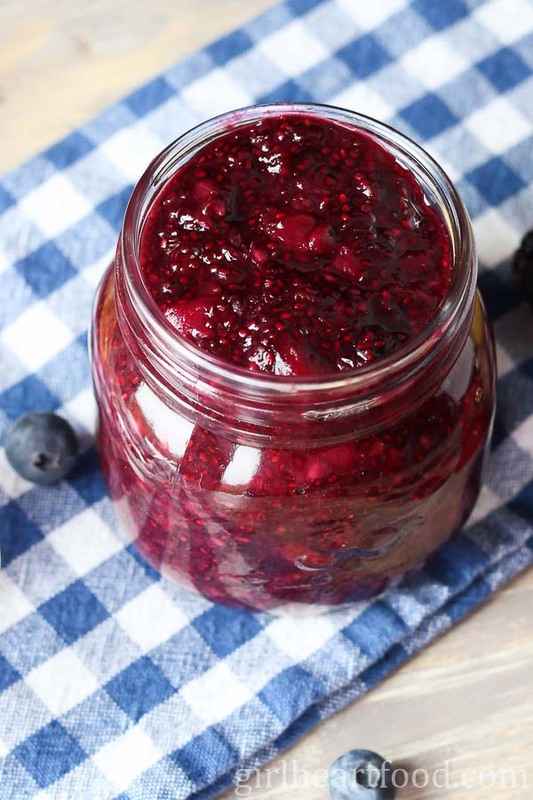 Make your own barbecue sauce like this Blueberry version or homemade nut butter like this Roasted Almond Butter made with only two ingredients! In preparation of this herb marinated feta recipe, I received gifted product from Pomora, but, as always, all opinions are my own. Thank you for supporting brands that make Girl Heart Food possible and for helping me continue to do what I love – cook, eat and share delicious recipes! 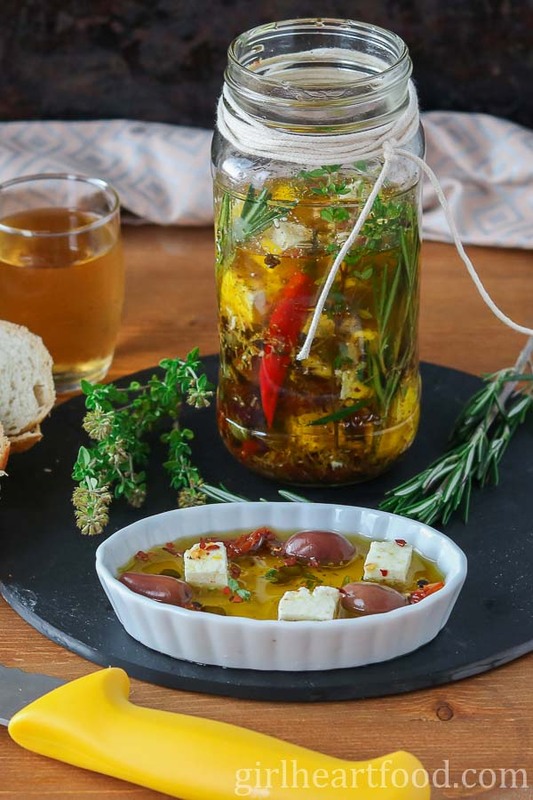 This easy Marinated Feta recipe combines a little heat, herbs and savoury flavour from feta cheese, black olives and sun-dried tomatoes. Perfect for dunking bread, as part of a multi-course meal for entertaining or as a foodie gift for someone special! 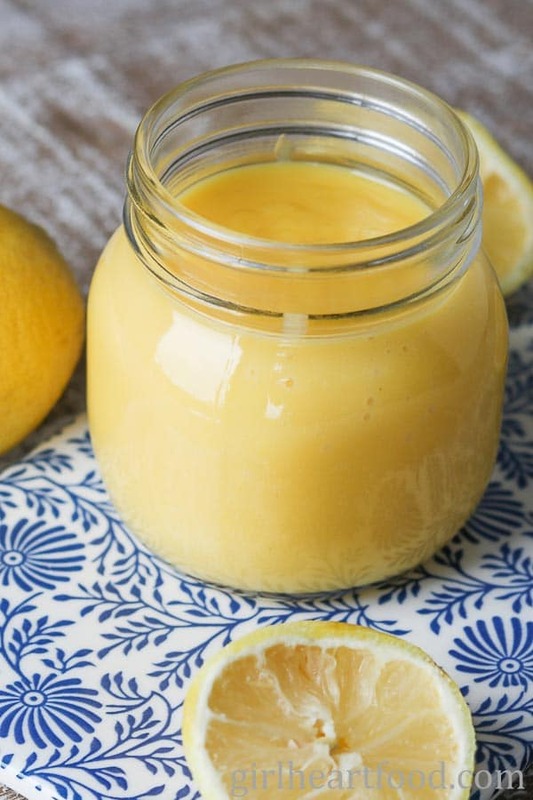 Ever wonder how to make lemon curd? Look no further! With just a handful of simple ingredients you could make your own curd from scratch. It’s beyond easy! This one is tart, not too sweet and ultra lemony. Ready to make it? 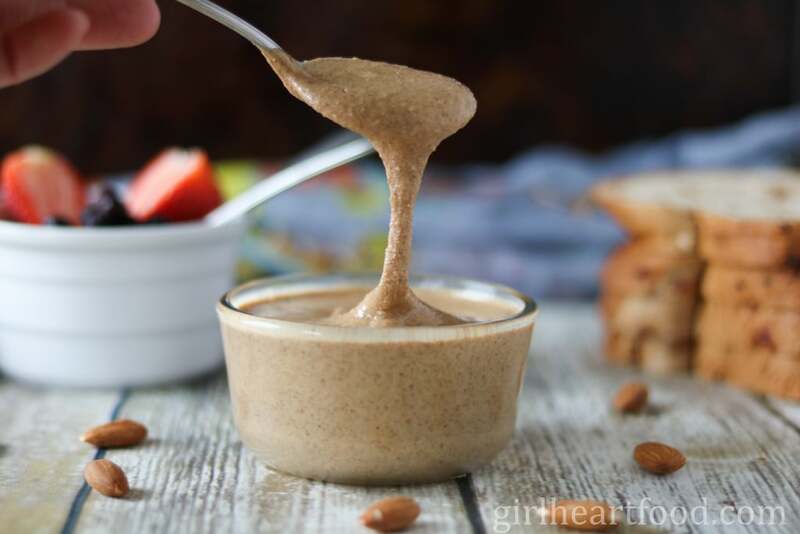 Ever wonder how to make almond butter? It’s super simple! 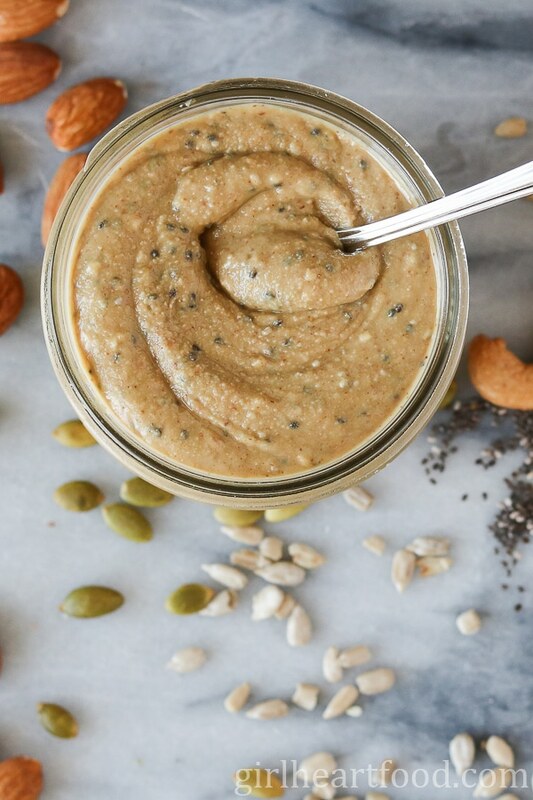 And this isn’t just any ol’ nut butter, it’s mocha flavoured! Made with espresso powder and chocolate, it’s delicious on bread, granola or eaten straight up with a spoon! This Easy Black Bean Dip recipe is creamy, packed full of flavour from chipotle powder and cumin, and can be made in under 10 minutes! Plus, it’s made with simple ingredients that you probably already have on hand. It’s delicious with your favourite corn chips or even as a spread for a wrap or sandwich. You’re gonna want to make this one over and over again! 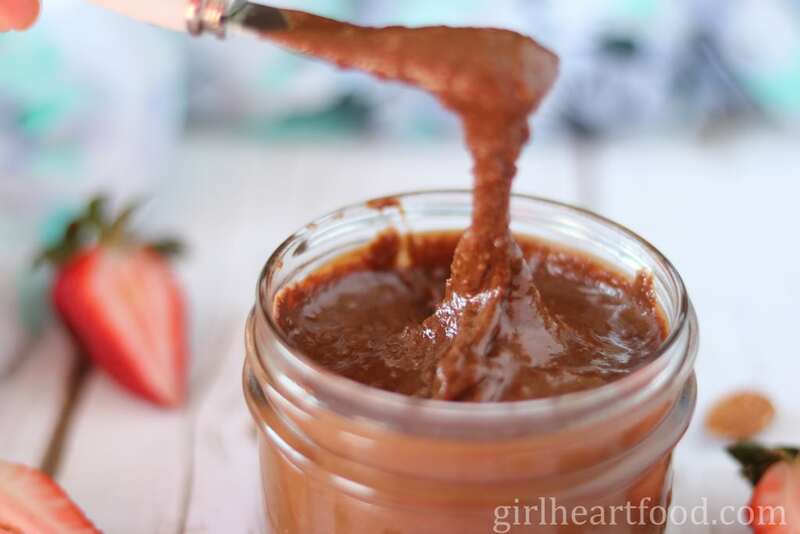 This Dark Chocolate Coconut Roasted Almond Butter is a delicious twist on basic almond butter. It has a rich chocolate flavour and infused with flecks of unsweetened shredded coconut. Perfect for bread, fruit or just eating with a spoon!